Photoaging is a common sun induced problem in Southern California. 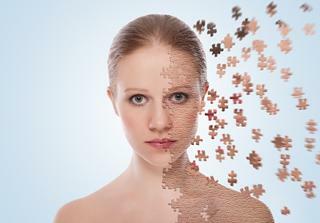 The signs of photoaging are thin, wrinkled, discolored, leathery skin, as well as precancerous and cancerous growths. How Does the Sun Cause Skin Damage? 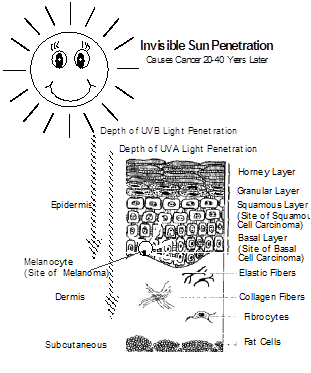 Over time, the sun invisibly penetrates your skin and causes damage to the microscopic skin cells. 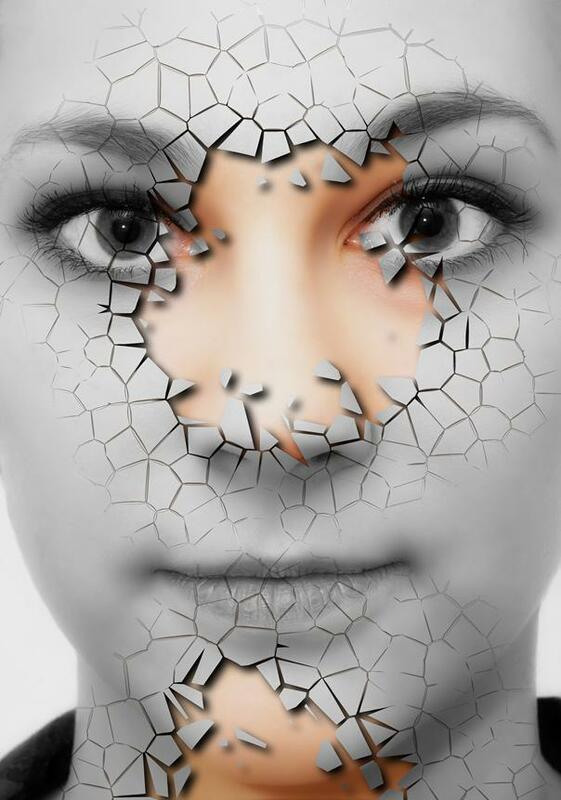 The fibroblast cells (the cells that produce collagen and elastic skin tissue) are damaged. This causes collagen damage and elastic tissue damage and results in wrinkles. The basal and squamous cells are also damaged. This causes precancer and skin cancer. The melanocytes (pigment cells) are damaged. 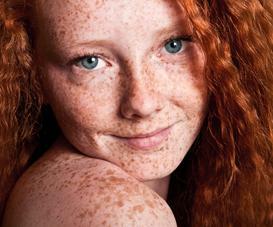 This causes melanoma and problems with your skin’s pigmentation. How can topical retinoids help? Topical retinoids can remove layers of sun-damaged skin, revealing new skin, and can help to repair damaged fibroblast skin cells. New collagen is formed. New elastic tissue is formed. 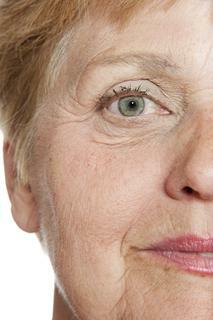 Pigmentation is evened out, and fine wrinkles are smoothed. This type of repair helps rejuvenate and restore your skin. In some cases, sun induced precancers are also removed, and skin cancer may be prevented. However, topical retinoids may not the best answers for your precancers. Dr. Jacobs may discuss other options for precancers. These options include 5 FU and Aldara. 1. By increasing blood flow to the skin, to give a healthy glow. 2. By stimulating collagen synthesis, thus, softening fine wrinkles although deeper wrinkles do not disappear, they may become less prominent. 3. By reversing sun thinned skin to normal thickness. 4. By redirecting sun-damaged, abnormal cells producing abnormal collagen, to produce normal collagen. 5. By enhancing the shedding of the outer dead layers of skin, creating a smoother skin surface with softer texture. This is the scaling effect seen with Retin-A and Renova. 6. By lightening freckles and pigmented age spots. 7. By unplugging pores and thereby leading to the removal of blackheads and whiteheads. How Do I Use Topical Retinoids? The best candidates for topical retinoic acid therapy are persons with a history of excessive sun exposure who have signs of early actinic damage. Light-skinned, Type I individuals who tan poorly, and those of Celtic ancestry are at greatest risk of damage from photoaging, and may want to begin Retin-A or Renova therapy in their twenties. By contrast, darker-skinned, Mediterranean types may not perceive photoaging and may not seek treatment until their forties of fifties. 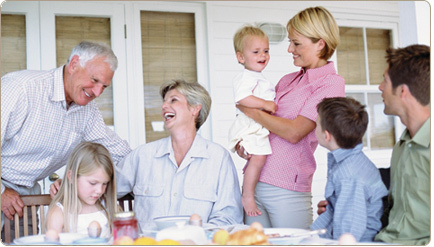 Treatment must be individualized according to the ethnicity and age of the patient. Patients need counseling about the potential for irritation. 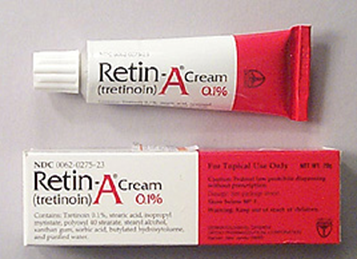 If over-used, retinoids can produce redness and scaling that is uncomfortable. These effects are temporary and usually disappear after two months or so. It is helpful to understand that some redness and post application stinging is desirable, and is proof that the drug is actually working. In fact, achieving a mild degree of irritation by adjusting the amount and frequency of application is an early goal of therapy. Some patients can, essentially, "titrate" treatment this way. Darker, thicker skinned men or women may have less sensitivity to adjustments, and may eventually need to apply the medication twice daily, though the goal for most is once nightly. Retinoids should be applied one hour before bedtime. First, we recommend washing gently with mild Gentle Face and Body Cleanser soapless cleanser. Do not use soaps on your skin. Please start slowly with topical retinoids, as they can cause irritation. You may want to start by using topical retinoids once or twice per week, then, slowly advance to three times per week when you see that you tolerate the medication. Later, advance to every other night for two or three weeks. One method is as follows: One night the first week, two nights the second week, three times the third week, four times the fourth week, and so fourth, until you reach seven nights the seventh week. Your goal is to use topical retinoids every night, using only a pea-size amount to the entire face. A light-textured moisturizer Face Lotion should be applied over the topical retinoid 30 minutes after applying the topical retinoid. Do not apply below the eyebrows or above the deep furrows below the eye. At first, there may be scaliness and redness Gentle Face and Body Cleanser soapless cleanser combined with Face Lotion helps to minimize this dryness. Often, after the initial eight weeks, when the skin has adapted, the topical retinoids can be used nightly. In the morning, the face should be washed with mild Gentle Face and Body Cleanser soapless cleanser and Face Lotion applied to the moist skin. Then, a sunblock should be applied. Sunblock not only prevents additional skin damage, but also protects your skin, as Retin-A and Renova do make your skin more sensitive to sun. With Retin-A or Renova, the patient should use Face Lotion and sunscreen during the day. The adjunctive use of Face Lotion is important to the success of the treatment, as most patients will be in an older age group with varying degrees of dry skin. In fact, most women over 30 have photoaged skin and should ALWAYS use a moisturizer and sunscreen during the day. In addition to dry skin, as many as one third of adult women have irritable skin from excessive cosmetic use. Most however are not aware that many cosmetics are irritating to the skin. These women are more likely to have a history of using strong astringents, toners, soaps, cleansers, abrasives, exfoliators, or scrubbing solutions. It is helpful to "bring these patients back to ground zero" by eliminating the use of all soaps, toners, and any irritating cosmetics for one week before starting the topical retinoid program. The use of a very mild soap substitute such as Gentle Face and Body Cleanser, and a good noncomedogenic moisturizer such as Face Lotion are recommended during this period, and after therapy starts. Your skin's improvement will not be seen for up to one or two years. The usual topical retinoid course usually requires 18 months. Long- term use will ensure optimum results. How often should I follow up with my dermatologist? Dr. Jacobs recommends that patients return to clinic after the first month of using topical retinoids, to evaluate the immediate effects and go over any side effects. After the one-month appointment, Dr. Jacobs likes to see you every three months. Dr. Jacobs will be happy to work with you and provide you with additional information or advice on your topical retinoid therapy. Some people can be very sensitive to the irritant effects of topical retinoids. If you should develop any persistent irritation or severe reaction, you should discontinue the immediately and contact Dr. Jacobs. 1. Apply the topical retinoid cream to damp skin after cleansing your face. Avoid the upper eyelids, the corners of your mouth, and corners of nose. If you use a gel, apply the gel to a dry face, waiting one-half hour after cleansing before applying. Be aware that the gel is flammable, and avoid fire (cigarettes). Dr. Jacobs recommends that you clean your face with Gentle Face and Body Cleanser. 2. In the morning after cleaning your face, do not the topical retinoid Dr. Jacobs recommends Face Lotion in the morning. You may apply make-up over this lotion if desired. Around the eyes, you may wish to use Face Lotion. 3. When you first start using the topical retinoid, apply the medication and gradually advance. One method is as follows: One night the first week, two nights the second week, three times the third week, four times the fourth week, and so fourth, until you reach seven nights the seventh week. 4. If skin irritation develops, try diluting the topical retinoid with Face Lotion before applying. Gradually reduce the moisturizer until you are using full strength the topical retinoid. Then, resume; increasing the number of nights per week you use the topical retinoid. Gradual use helps prevent discomfort and redness. 5. For sun exposure over fifteen minutes, you will need sunblock in addition to the Face Lotion. It is also a good idea to avoid the topical retinoid the night before a day with increased sun exposure. 6. If you are pregnant, stop using the topical retinoid. If you are a female of childbearing age, sexually active, and not using adequate contraception, please discuss this with Dr. Jacobs. High dose vitamin A is known to cause birth defects. There is no conclusive evidence that topically applied topical retinoids cause problems, however, discretion is advised. They should not be used during pregnancy. Clinical benefits are slow and may not be apparent for several months. The epidermis improves first, within a few weeks. The dermis takes longer. Direct effects on blood vessel growth and new collagen formation take many months. 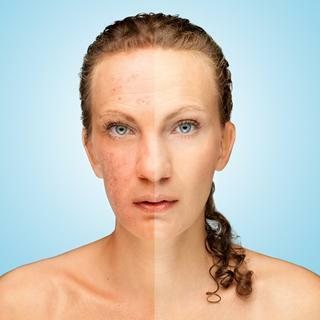 Patients with severe sun damage may notice the development of many red spots six to ten weeks after starting treatment. Do not be alarmed. These spots represent areas of invisible precancerous actinic keratoses, being removed. Because of thinner skin layers, sensitivity to sunlight is increased. 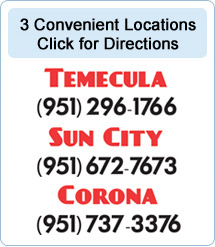 Please use a sunscreen during sun exposure. 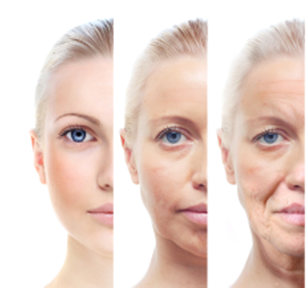 Because the aging process grinds on, treatment should continue indefinitely. After twelve to eighteen months of once-daily application, maintenance therapy may consist of application as little as two or three times a week.